On Thursday, 18 year old Faisal Mohammad stabbed several students at the University of California at Merced before being shot to death by police. University officials and investigators have discounted any possible political or religious motivations behind the attack. The UC Merced student who stabbed four people during a campus rampage “intended to kill a lot of people,” according to authorities who found a detailed manifesto on his body. The computer science and engineering freshman planned to stab a police officer, take that officer’s firearm and use it to shoot students in a dormitory, Warnke said. Investigators seized numerous items from the backpack Mohammad carried into the classroom, including several zip-tie handcuffs, petroleum jelly, a night-vision scope, a safety hammer, and rolls of duct tape, among other things. Warnke said it remains unclear precisely what Mohammad had planned. Local and federal authorities, including the FBI and U.S. Department of Homeland Security, have yet to find anything to explain his motivation. Is it true we have “yet to find anything” indicating a motive? It appears the jihadis’ information operation is still in full gear and producing excellent results. Even if this young man turns out to be “mentally disturbed,” what are the odds he isn’t. Better than the odds he is. Why is it that every time a Muslim kills or tries to kill someone, law enforcement and everyone else immediately explains it away as everything but what it likely is – JIHAD. Since 100% of all Islamic doctrine mandates jihad until the world is under Sharia (Islamic Law), and 100% of all Sharia only defines “jihad” as “warfare against non-Muslims,” it stands to reason that when a Muslim male attempts to kill non-Muslims in a manner that internationally recognized jihadi (“terrorist”) organizations (ISIS/Hamas) recently called for, that motive would be on the table as a logical and reasonable reason the suspect did what he did. Faisal Mohammad is a young Muslim male. 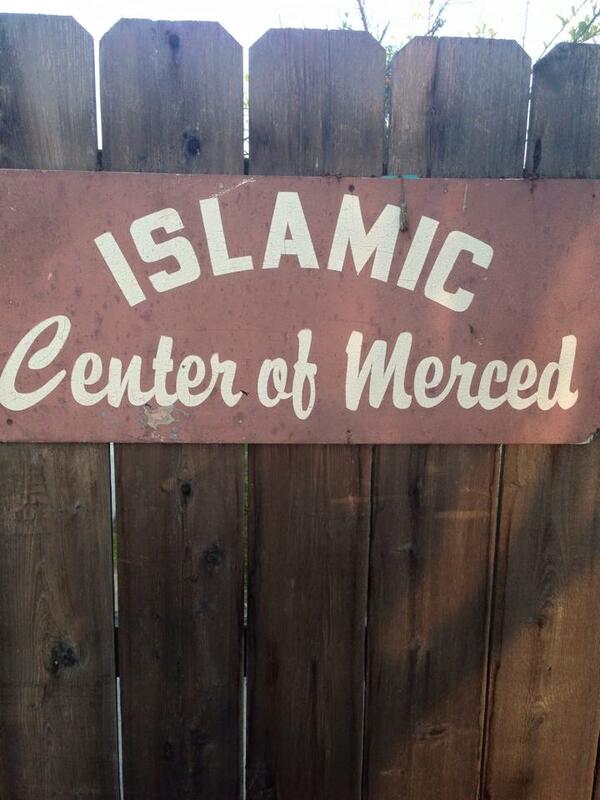 He may have attended the Islamic Center of Merced, but we are not sure at this point. He stabbed his victims with a large knife. In September 2014, ISIS called on Muslims in the U.S. to use any weapons available, including knives, to kill U.S. soldiers. In January of this year, ISIS called on Muslims to conduct Individual Jihad using all means available, including knives, swords, etc. Recently, Hamas has specifically called for Muslims to stab non-Muslims (especially Jews in Gaza), and have even made videos and lesson plans on how to do it. Not hard to keep the “JIHADI” option on the table regarding Faisal Mohammad when this information is known and understood. This is a lot more likely than…he was mad he got kicked out of a study group. According to our government officials: 9/11 was perpetrated by those who (as President Bush said) “blasphemed” the name of Allah; Fort Hood and the recent beheading in Oklahoma by a Muslim were acts of “workplace violence”; the killing of Private Andy Long at the Little Rock, Arkansas Army Recruiting Station by a Muslim who took the name “Mujahid” was a drive by shooting (according to the U.S. Department of Justice); when Muslims plow their cars into crowds of people – like at UNC or Fremont, California – or try to kill people with axes or swords, they are “crazy”; the mob that killed our Ambassador in Benghazi was an “extremist militia”; and any Muslim who does what the Quran and the prophet Mohammad command them to do – wage jihad – are “misinterpreting” Islam. Why is it so hard to believe that there are some Muslim who actually take the Quran and the Sunnah (ie what Islam teaches) seriously and act on it? While officials admit they are not sure of a motive in the UC – Merced incident, they sure were quick to announce what it wasn’t. As it turns out, the Chancellor of the University of California – Merced, Merced County Sheriff Vern Warnke, the FBI and DHS, as well as the local and national media, deceived the public about the true nature of the stabbing attack on students and others on campus by Faisal Mohammad. As UTT tweeted and reported on the day this event occurred, the suspect was a Muslim male and the professional course of action would be to treat this as an act of jihad for the reasons stated in the above article. 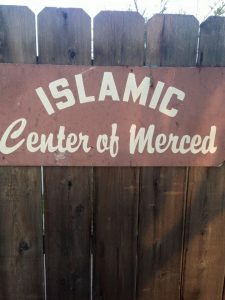 Now, a reporter in Merced has published an article citing several law enforcement sources stating there is a lot more to this than originally reported, including Mohammad’s support for ISIS. Fox News today published an article questioning the stabbers motives and noting the “Manifesto” found in Faisal Mohammad’s backpack called for him to cut off one of his victim’s head and praise Allah. These are also investigative clues. As it turns out, this was an act of jihad on a U.S. college campus by a Muslim male doing what Allah commands, and what the prophet Mohammad did. The Merced Sheriff’s Office told UTT today they are sticking with their original story – Faisal Mohammad was angry because he got kicked out of a study group. There has been no response to a series of questions from UTT to the Sheriff on this matter. Will the FBI and DHS begin training its agents and its local law enforcement partners on Sharia, the root of the global jihad? No they will not. The FBI will continue to use Hamas and Muslim Brotherhood organizations to outreach to the Muslim community to ensure no Muslims are offended…and Americans will continue to be killed as a result. “Insane in the membrane” ….the only words that describe how I feel when I hear the ” official’ sharia compliant response that after isis and hamas calls for individual jihad, with any means possible, and we see it happen in Israel and as you point out they even train for efficient stabbing….that we cannot even think it may be possible they heard the call to “disrupt”. I would like to see the polls of how many people actually believe what they hear, but then again I may not want to know, that would be even more distressing. Maybe California will fall for this misinformation…maybe…until or unless the victims are permitted to speak…if they heard those clues phrases. But then again, it is the usual “misinterpretation”. Guess the attacker also got the word to hide intent and plant a letter on his body so as to further enhance the deception. Hello JG, Agree totally….to immediately dismiss “terrorism”, as a first response before any investigation proceeds, and then to misdirect or ignore association of the stated intentions of the person causing harm, is dangerously allowing jihad to advance. Add to that, the unwillingness to acknowledge islamic sharia law, verses from the hadith, as causal information to fight terror after the fact is submission to islam and obeying slander laws. Sharia based slander law, forbids the truth of the religious obligation…with the intention to pave the way for more of the influence of the MB and terror producing religion. Our authorities (and many others) continue to live in denial with respect to the Islamic agenda. At some point our elected leaders will have to concede that they have “got it wrong” in regarding current immigration policy. Thankfully, we can still get truthful accurate reporting from sites such as this. [TS NOT JUST A MANNER OF ANGER MANAGMENT. THE QUARAN TEACHES THEM THIS IS THE CHOICE THEY CAN MAKE (MURDER) THAT RECIEVES THE HIGHEST POSITION IN ETERNITY. SO THEIR KILLING IS FOR PERSONAL GAIN, NOT ANY TYPE OF RETRIBUTION. AND SINCE IT IS ALL SPELLED OUT IN THE QURAN, AND INSTRUCTIONS ARE RECIEVED PRIOR TO THE KILLING, THEN ALL KILLINGS ARE PRE-MEDITATED MURDER/ WE ARE COMMANDED, BY GOD, NOT TO KILL. HENCE WHATEVER THEIR EXCUSE IS THEY STILL SHOULD BE CHARGED WITH THE MURDER.AND PROSECUTED BY CONSTITUTIONAL LAW.